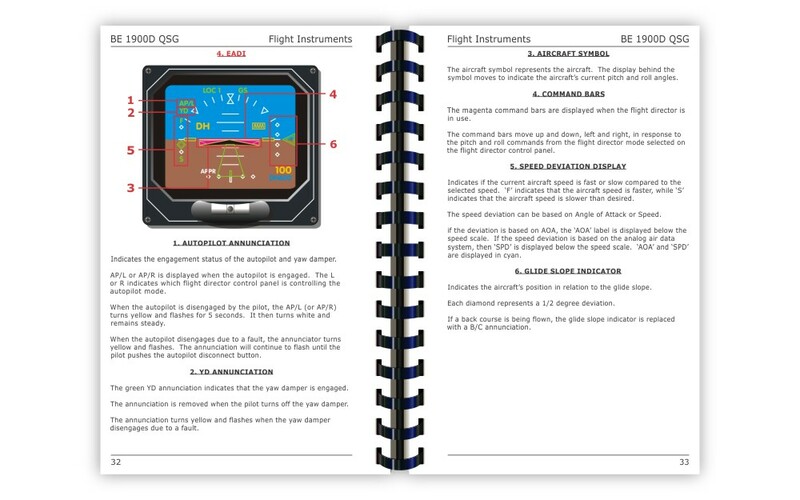 The Beechcraft 1900D Quick Study Guide (QSG) is a handy 5.5″ x 8.5″ (14 cm x 21.6 cm) reference guide for pilots looking to familiarize themselves with the locations and functionalities of all the Beechcraft 1900D cockpit controls and indicators. The Beechcraft 1900D QSG features the same full color, photo-realistic cockpit panel illustrations that can be found in Avsoft’s Aircraft Cockpit Posters and Aircraft Systems Courses. Besides the comprehensive coverage of the Beechcraft 1900D cockpit panels, this quick reference guide also includes a thorough section of practice questions and answers, aircraft system diagrams, and a glossary of related acronyms and abbreviations. Designed for individuals transitioning to a new aircraft, these handbooks provide excellent supplemental reference during ground school training. 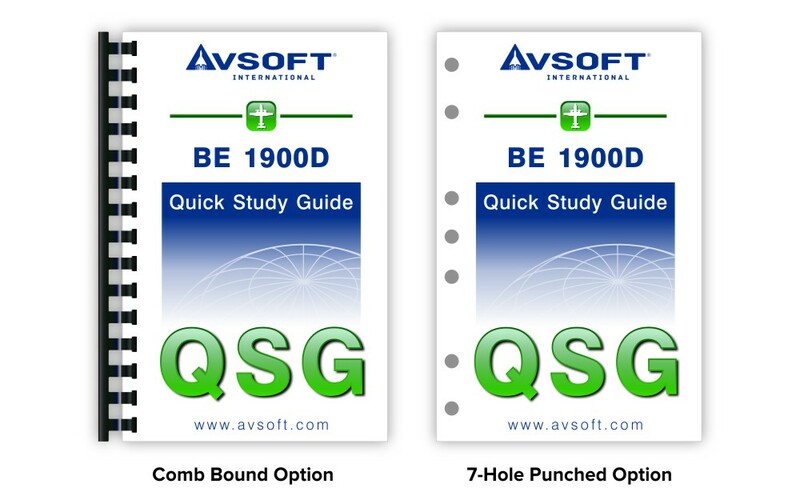 Avsoft’s QSGs are popular and effective pilot training aids.